Tweets about digital work & digital living. Boston startup events, resources, celebrations, and connections. 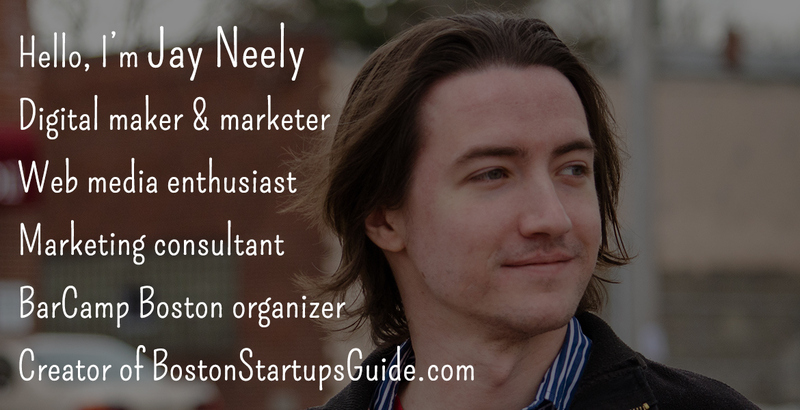 Full-stack awesome, aka marketing/development/community generalist. My content on Quora, a Q&A community of curated expertise and first-hand experience across all industries. Startup Q&A site BrightJourney, where I have top-voted answers for questions like "How to get PR / publicity for your startup?" and "How to make a product sticky?". Posts from 2013 and before. These days my writing is more distributed across projects and social channels.